Washington’s rich and unique history dates back to 1779 when the town was officially established and named in honor of the country’s first President, who passed through the area several times during the Revolutionary War. Since its establishment, Washington has grown from a small farming and industrial community to an affluent and culturally rich town. The town’s five villages all maintain perfectly preserved architecture from Washington’s past that tell the story of its development. As you explore, you will be transported back in time and experience a glimpse back in Washington’s history. You can admire Washington’s different architectural designs and surrounding natural scenery by visiting the town’s four historic districts. Each district features private homes and public buildings that boast a unique architectural style. Colonial, Federal, Gothic Revival, and Queen Anne are just a few of the styles that you will see as you tour around these districts by car, on foot, or by bike. You will also be able to view the notable work of renowned architect Ehrick Rossiter who designed several buildings in Washington, including residential, cultural, and houses of worship. Washington is home to two highly regarded and fascinating museums. 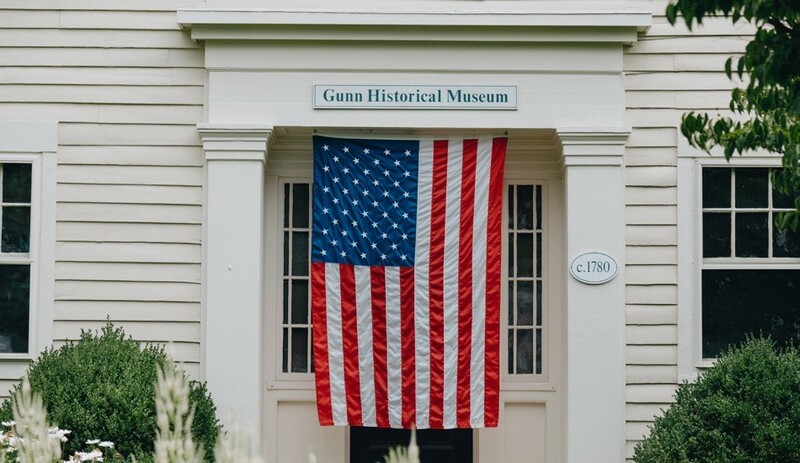 The Gunn Historical Museum is dedicated to telling the history of Washington. Its archives contain items ranging from historical maps and photographs to research papers that all unlock stories from the town’s rich past. 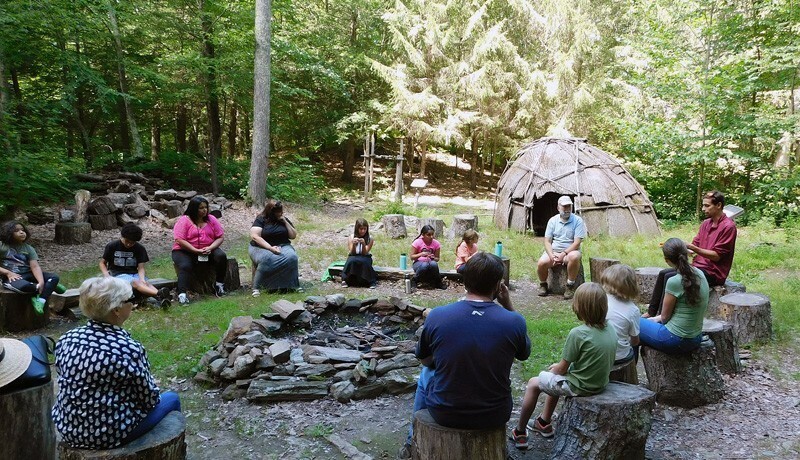 While the Gunn Museum’s exhibits and archives will let you discover more about the town, the Institute for American Indian Studies is ideal for those wanting to learn more about the early inhabitants of the town as well as America in general. The institute’s mission is to educate visitors on Native American culture and history through interactive exhibits and engaging experiences. While walking on the trails of the Steep Rock Preserve, you will find two fascinating sites, the railroad tunnel and Holiday House, which illuminate a historical era in the town’s past. The railroad tunnel was originally constructed in 1871 as part of the Shepaug Valley Railroad which helped to open up Washington to New York and to the rest of Connecticut. Holiday House is a beautiful summer residence of the first New Yorker to buy property in Washington, Edward Van Ingen. He built the home in 1893 as a retreat for working women who wanted to get away from city life during the summer months. Throughout Washington’s five villages, there are reminders of the town’s history as a small colonial settlement in a rural area of New England. By car, on foot, or by bike, you can tour through each of the five villages and learn about Washington’s early years. From the First Congregational Church on the town’s green to farmer Isaac Camp’s House in New Preston, Washington’s roots as a colonial town are visible throughout the area, just waiting to be explored. The quintessential scene of any colonial town was the church. As the focal point of the town green, the church functioned as a meetinghouse and a place of worship for the community. 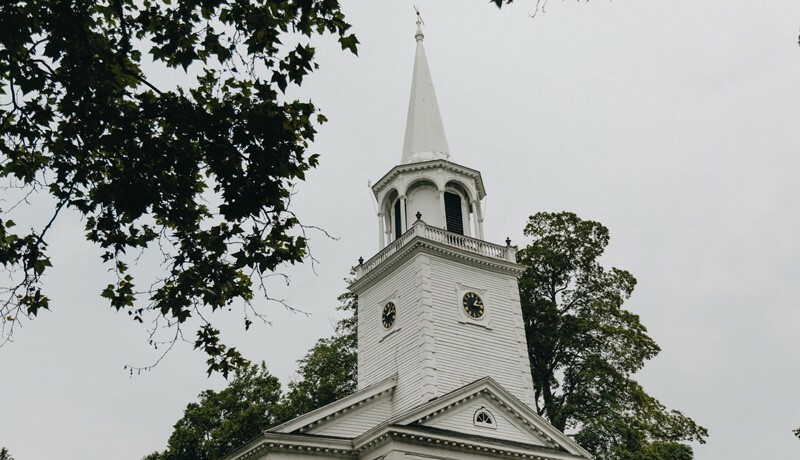 Washington has several notable churches throughout its five villages with the First Congregational Church and St. John’s Church being the most prominent. Typically, colonial cemeteries were placed near church grounds which is evidenced by St. John’s Church Cemetery, Judea Cemetery, and New Preston Village Cemetery. These historic burial sites and architecturally notable churches are waiting to be discovered as you explore the five villages of Washington.